This exceptionally well executed vegetable painting can be considered one of the best works of the Antwerp still life painter Adriaen van Utrecht. 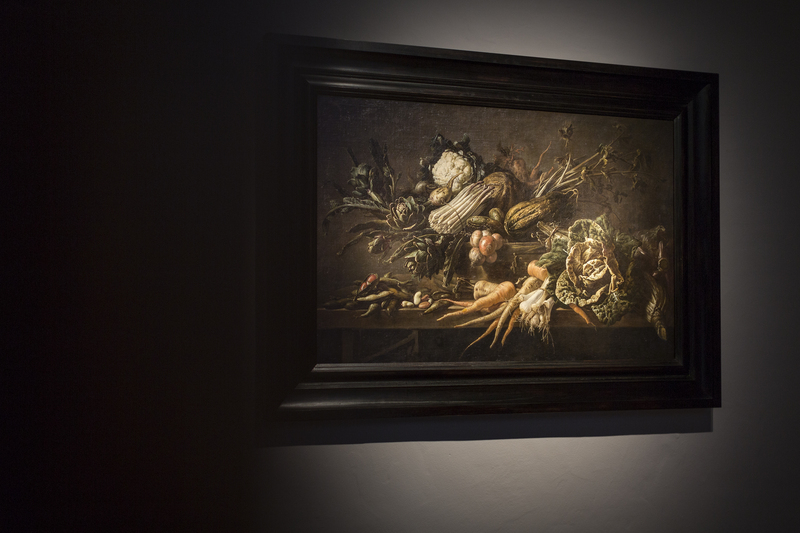 The composition features an extraordinary display of vegetables, placed in the immediate foreground. The tray in the centre is piled high with artichokes, cauliflower, asparagus, squash of different kinds, celery and a bunch of onions. Balanced on the front edge of the table are a variety of beans and legumes, carrots, parsnip, spring onions and a lush Savoy cabbage. The vegetable at the far right is a cardoon. Through his inventive combination of various forms and colours, as well as clever lighting effects, van Utrecht created an extremely varied and surprisingly rhythmic composition.